The Law of Abundance is not only about money. You can approve any area of your life as you tap in to the energy of abundance: money, job, love, relationships, health, well-being etc. Find out what’s blocking you from manifesting prosperity and how you can change this. Also, add some playfulness into the mix of creating abundance and write yourself a law of abundance check! The Law of Abundance is a Universal Law! What is ”The Law of Abundance”? According to the Law of Abundance, there is an unlimited Source of everything we desire, and abundance is always available to us right now in this very moment! The Law of Abundance is a universal law – just like the law of attraction – which means that it affects us all, whether we are aware of its magnetic power, or not. We are all connected to the Source Energy that creates worlds. Our universe is made of this Divine Energy, and so are you. In order for you to access this powerful energy where only love exists, you need to recognize and nurture your own Divinity. You might also have heard the term“Law of Attraction Abundance”, which is about recognizing that in order to attract prosperity, you must first become a vibrational match to abundance. When you feel happy and love yourself and others, you are connected to the energy that creates worlds. It is from this place you create an abundant life, filled with anything you desire. How does the Law of Abundance work? The Universe is constantly expanding and responding to your desires, according to the Laws of Abundance. When you have a desire, the Universe stands ready to deliver it to you. However, if you have any resistant thoughts, you hold yourself from receiving desired manifestations. By giving attention to the absence or lack of whatever you are wanting, you block yourself from abundance. For example, if you keep thinking ”I want more money”, but feel frustrated because you don’t have the money you need and want, then it’s best to stay off the subject and focus on other things that make you feel good, according to the Law of Abundance. Emotions are vibrations. When you work with the Law of Abundance, it’s very important that you pay attention to how you feel, because what you vibrate is what you are going to attract, according to the Law of Attraction. When you feel ease and flow, you open up to the Universal forces and become ready to receive. What blocks you from experiencing Abundance? Do you focus on your desire or on the absence of your desire? Just because you keep bringing up the subject of what you want, doesn’t mean that you are positive about it. You may think that you are, but how do you feel when you talk about your desire? Does it make you feel frustrated, sad, angry etc.? Or do you feel uplifted and eager about what’s coming? If you don’t feel positive when you think and talk about the things you want, then stop it! The only thing you are doing is telling the Universe over and over again what you miss in your life, and what you don’t want – and that’s exactly what you are getting! To turn the ship around, go general and talk only about the things that actually make you feel good. Focus only on the things that makes you happy. The Universe has already heard your wishes, and if you only raise your vibration by staying off the subject and focus on things that actually feel good, then the Universe can deliver it to you. Do you believe that you deserve abundance? Are you focused on your desire? You may answer: ”Of course! I deserve to be happy”. However, it is possible that your sub-conscious mind has conflicting beliefs. The Law of Abundance says that if you feel fear (or any other negative emotion) when an opportunity arises – whether it has to do with love, financial success, career etc. – then it’s an indicator that you have limited beliefs about abundance. That’s OK. Just accept the emotion and understand that it’s just an indicator that you have been thinking thoughts that are not serving you. A belief is just a thought that you keep thinking, and you have the power to change your thoughts – one thought at a time. Unconditional love for yourself without self-sabotaging thoughts, will assure that abundance can flow freely into your life. The Law of Abundance is all about unconditional love, and if you want to attract abundance into your life you need to love yourself first. Do you believe that success only comes to those who work hard? The Law of Abundance is about ease and flow, and it responds to your vibration. If you struggle for success, then you block yourself from receiving abundance. Your achievements will be mediocre at best. Struggle will never take you to the success of your desires. If you want to tap in to the Universal energy of abundance, you need to feel good. When you feel love, appreciation, ease, optimism, passion etc., you have this leverage that is very powerful, because you now work with the energy that creates worlds! If you want to work with the Law of Abundance, the best thing you can do is to make yourself happy in any way you can! Appreciate things that are already working in your life – It’s easy to take things for granted, but as we learn to appreciate all the wonderful things that we already have, we raise our vibration and open up to the abundant energy. When we become mindfully present, we automatically find the place of appreciation. 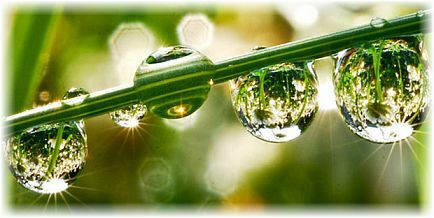 We take the time to appreciate the beautiful nature around us, the fresh air, the colors, the stillness, the beauty etc. We become more aware of how comfortable the bed feels, and how nice it is to go for a walk. We learn to appreciate our bodies and how it assists us in our daily lives. The Law of Abundance is about raising the vibration to receive abundance, and when you appreciate, you vibrate at a very high frequency! Do you appreciate the abundance of nature? Love yourself – It is extremely important to love yourself first, if you want to manifest your desires, according to the Law of Abundance. So, change your self-dialogue and speak only kind words to yourself and about yourself. Listen to your needs and do things that you enjoy. The renowned spiritual teacher – Louise Hay – recommends ”mirror work” to increase self-love. Next time you look yourself in the mirror, say to yourself: ”I love you”. Do this as often as possible. It may feel strange at first, but keep doing it and see what happens. Many people have had amazing results with this simple exercise, so give it a try! When you love yourself, you allow abundance to flow into your life, according to the Law of Abundance. Relax and go with the flow – Give up the struggle and stop trying to make things happen, because that will only lead you further away from your desires, according to the Law of Abundance. Feel ease and go with the flow. Make sure to do things on a daily basis that help you relax, because when you feel relaxed, you allow your desires to manifest. So, play some music, dance, go for a walk, meditate, read a good book, go out and play with your kids, soak in the tub, play with your pet etc. The Law of Abundance responds to your vibration, and when you feel ease you tap in to the energy of abundance. You can feel abundant right now! If you want to manifest abundance into your life, it’s very important to know the difference between abundance and prosperity. Applying the Law of Abundance is about using your vibration to access this powerful energy. Abundance is a feeling place and you can feel abundant right now! You do this by focusing on things that make you feel good. When you feel love, appreciation, well-being, happiness, passion etc., you open up to the vibrational place of abundance, so says the Law of Abundance. You have the power to change your vibration by deliberately directing your thoughts. Your thoughts affect your emotions. Instead of paying attention to your thoughts (which is almost impossible), it’s is more helpful to let your emotions guide you. When you feel bad, choose another thought that feels a little better, and continue this deliberate focus to raise your vibration. The Law of Abundance will quickly respond to your high vibration, and bring prosperity into your life. So remember, abundance is the feeling, and prosperity is the form. This is very important to keep in mind, because if you understand that the Law of Abundance responds to your feelings, then you know how to create prosperity (the form)! The Law of Abundance is not only about money. There is an abundance of joy, vitality, energy, optimal health, loving friends etc. that you can tap into. You can work with the Law of Abundance to attract a loving partner, improved health, fantastic job, a wonderful vacation, new friends etc. As stated earlier, it’s very important that you feel ease when you work with the Law of Abundance. It should be fun and playful. Writing a law of abundance cheque is a great way to invite some playfulness into the mix of creating abundance. Abundance checks can be applied to any area of your life. 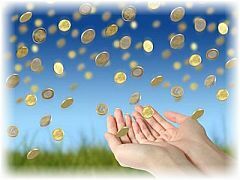 So, what is this law of abundance check writing all about, and how can it help you manifest abundance into your life? What is a ”Law of Abundance Check”? If you have read or watched ”The Secret”, you probably know about ”Law of Abundance checks”. However, writing law of abundance checks is not a new thing. In fact, it’s an ancient method that has been practiced by the Chinese to increase abundance into their lives for centuries. People in China are still today writing Chinese Law of Abundance Checks for financial prosperity, and they do this for every New Year. The great thing about writing law of abundance checks, is that this ritual enhances your focus on your desire. It also helps you to trust in the Universe. As you write your law of abundance check your request is automatically sent to the Universe. You can then relax in the knowing that the universal forces are taking care of the manifestation. This means that you don’t have to worry about the WHO, HOW and WHEN. Most of us have a sub-conscious belief that we are not worthy of the things that we desire. This negative an untrue thinking creates an inner resistance that hinders us from getting what we want. To write law of abundance checks, is like sneaking in through the back door! As you state your desires by using law of abundance checks, you avoid getting in your own way. You let the Universe take care of the details of the manifestation, which allows you to focus on other things instead that are actually going great in your life today. Instead of sending out negative signals of unworthiness, your new-found positive attitude will shift your vibration, and now the manifestation can take place! When we really really want something, we often have a big inner resistance going on. Otherwise, the dream would have come true long time ago. The reason why it haven’t, has to do with the fact that as we keep talking about what we ”want”, we are actually vibrationally repeating the absence or the lack of what we desire. For example, if you have had bad relationship experiences in the past, and keep thinking about relationships, you are most likely not sending out any positive vibration. Then it’s better to send a request about your desire through a law of abundance check, and then allow the Universe to take care of the details of the who, how and when. Writing a law of abundance check will allow you to stay off the subject so that you can focus on the things that are actually making you happy. When you feel good, you are in a state of allowance and now your dream can manifest into your experience! If you want to add momentum to your Law of Abundance check, take advantage of the powerful energy of the moon. The New Moon is all about intentions, beginnings, desires, possibilities, and action. It is therefore best to write law of abundance checks during the New Moon phase. To be exact: write your abundance check within 24 hours after a New Moon. Learn more about how to write an abundance check.